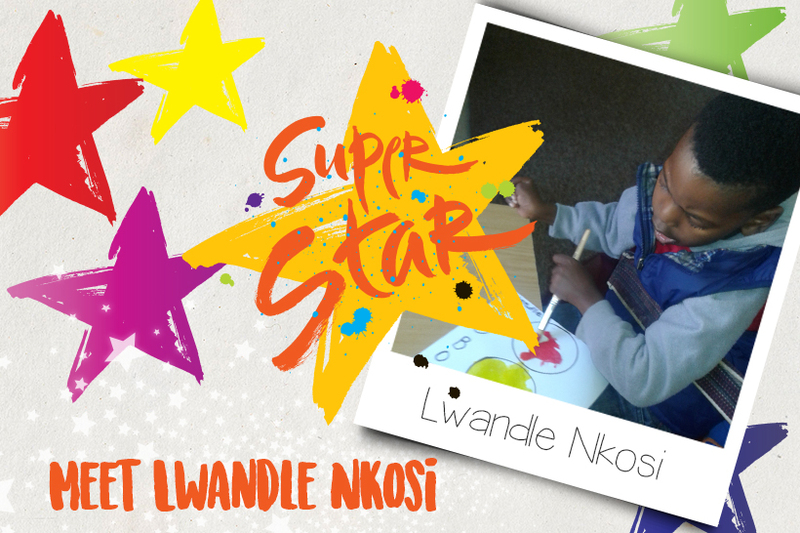 Last year we wrote about Lwandle Nkosi, a young boy with cerebral palsy. He started at our Elsburg Early Intervention Centre on the 4th of May 2016, and after being assessed by our therapists, he was placed in the Stimulation Class. This class is for children who are profoundly disabled. His developmental goals were immediately put in place and stimulation began every day that he was at school. At the time we reported that he’d made such great progress in a very short amount of time. Well, Lwandle has proved to be a quick learner, and on the 25th of July 2017 he progressed to the Bridging Class, which is for children with mild disabilities. He has done very well and is showing progress every day. It was a joy during one of the class activities this month that he was able to paint the colours of the robot with minimum help. Well done to his Stimulation Class teacher Flora Moloi and his Bridging Class teacher Beauty Malinga. His progress shows that perseverance really does pay. Cerebral palsy is caused by brain damage or abnormal brain development that occurs while a child’s brain is under development. CP affects muscle coordination and control, posture, balance, reflex, and body movement. It can also impact fine and gross motor skills, and oral motor functioning. Every case of CP is unique, as it depends on the type and timing of the injury. CP is considered a non-life threatening condition and while it is non-progressive, it is also incurable. However, with therapy and treatment, the effects on the body can be managed. By helping to maximise independence and increase inclusion, it can lead to an enhanced quality of life. Our incredible staff and children continue to inspire us every single day. If you want to learn more about our Superstars or about Sunshine Association, call us today on +27 11 642 2005. We can help your child become a Sunshine Superstar too.